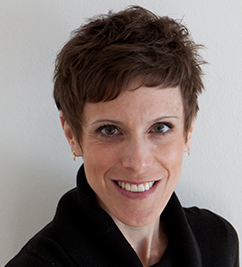 Sarah Ryan is an Assistant Research Scientist at WCER and the Director of Research, Policy and Evaluation for WIDA. Her research focuses on understanding the sources and consequences of group-level differences in educational processes and outcomes, particularly for multilingual children and youth, as well as the conditions under which policy and practice can contribute to or ameliorate these disparities. She brings to this work specific expertise in research design, quantitative methods, and sociological theory. As a former educator in k-12 public schools, she also brings to her work a belief that research can be more effective in addressing educational inequities when researchers are willing to work with and learn from practitioners. Dr. Ryan's research has been featured in numerous scholarly publications, including the American Educational Research Journal, Education Policy Analysis Archives, and Teachers College Record, and she has also written extensively for practitioner and policymaker audiences. She serves as a reviewer for several academic journals and national research grant panels, and she is a certified reviewer for the What Works Clearinghouse. Prior to joining WCER, Dr. Ryan served as a senior researcher at Education Development Center (EDC), where she led numerous research and evaluation studies through funding from the U.S. Department of Education, state and local education agencies, and philanthropic foundations. Before transitioning to a career in educational research and evaluation, she spent six years as a public school teacher working with language learner children and youth and their families in Wisconsin and Colorado. Dr. Ryan holds a BA in education and Spanish from Edgewood College and a MS in English language acquisition and bilingual education from the University of Wisconsin-Madison. She received a PhD in education policy from the University of California-Riverside and completed an Institute of Education Sciences postdoctoral research fellowship at Carnegie Mellon University.